JOIN THE CIRCLE OF LIFE Forest Hog is the Guardian of this brand new range of naturally formulated eco-friendly, vegan and child friendly cleaning products. Mother Nature’s gift to you combines plant cellulose, pure orange oil and water to do the job, keeping your home free of artificial perfumes and chemicals. 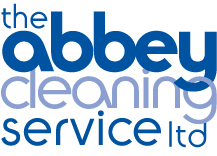 The Abbey Cleaning Service is a commercial cleaning company in Cardiff, Wales, UK. We provide office cleaning services to businesses based in the South Wales area. Established for over 30 years, we offer a reliable and high quality cleaning service at a cost-effective price. We also strive to focus on having a green/eco cleaning approach.